I read an excellent article in the New York Times this morning about Rotman School of Management, and the dean Roger Martin (see Multicultural Critical Theory. At B-School?). The article is great because it discusses the fact that the business school not only teaches quantitative disciplines, but also qualitative methods and analysis techniques too, with the goal of developing within students deeper levels of critical thinking. This approach takes inspiration from the liberal arts, where there is an emphasis on an ability to take into account multiple perspectives and also a moral dimension in decision making. 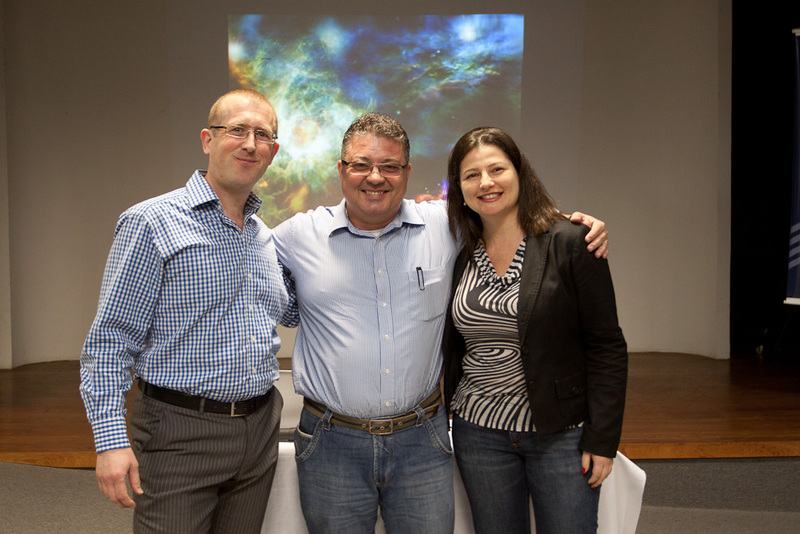 Here in Joinville, a city in the south of Brazil, there is another business school which can also be said to be truly visionary, and I thought I would write a little about it today. Sustentare was founded in 2005 by Wilmar Cidral, on the principles of the Triple Bottom Line. His vision was that the business school be an interface between economics and ecology, hence the name reflects the fact that “economics” and “ecology” contain the same root, “ecos”. 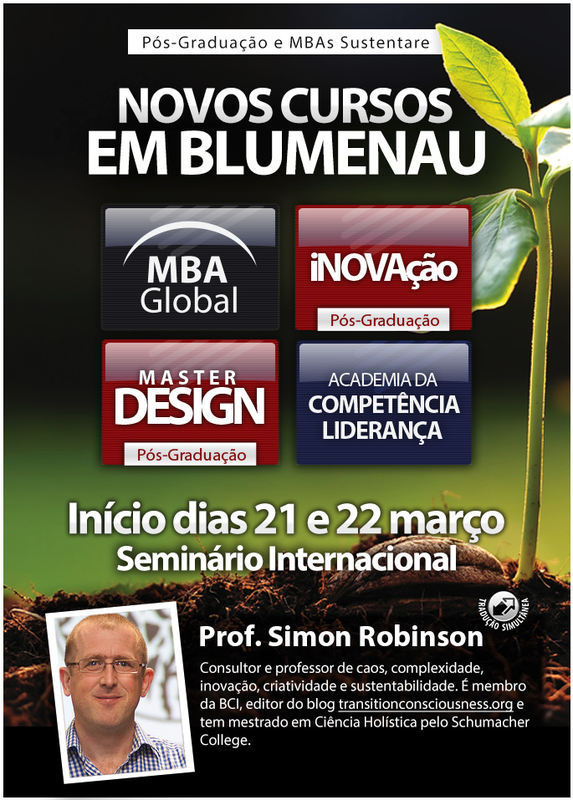 As you will see from the flyer on the left, in March I am going to be teaching Holonomics in Blumenau, another city where Sustentare offer courses. My twelve hour module is called an ‘international seminar’, and I will be laying the foundations for students who will be from four different courses, the Global MBA, Innovation, Design and the Leadership Academy. 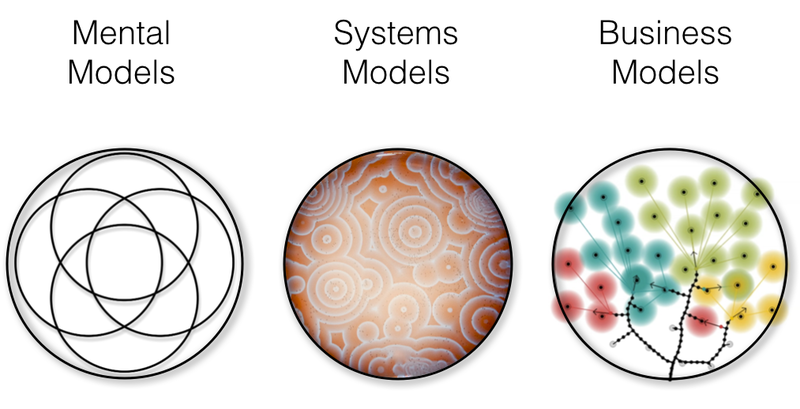 The course is structured around the exploration of the dynamic way of seeing, systems models in nature, and new business models inspired by nature, with plenty of practical exercises and case studies to enable students to explore their existing and transformational mental models. The course was introduced in 2011, and there have been a number of times when Maria has joined the module to help facilitate the exercises and also contribute with her great knowledge and experience too, also providing students with a link to her modules on strategy. Brazil certainly has its fair share of complex issues, and in the run up to the world cup, many social tensions here are resurfacing, with flash mobs now appearing in shopping centres, and new protests against the expenditure of the cup compared with expenditure on education, health, housing and infrastructure. It is extremely interesting to me though that I see so many excellent projects, often which are a combination of private and public partnerships, but which still have no publicity in Brazil, let alone outside and in English. Over the last few weeks I have been in contact with various people here and hopefully you will begin to see more interesting interviews as part of my Dialogues on Leadership series, interviews which I hope will really showcase the very best of what is possible here, and which may well reshape the views not only of foreigners, but also Brazilians too. But in the meantime I thought I would start the year discussing Sustentare. There are many excellent teachers there who Maria and I have the opportunity to spend time with while we are down there, all who are contributing to a new generation of young leaders who are not accepting things as they are right now, and who are learning to capitalise on complexity, making it work for them, their organisations, their colleagues, coworkers, and indeed Brazil, its people and nature.